But as good as the results can be, knee replacement is major surgery, and as such, there are certain risks and expectations that must be recognized. As with any major surgical procedure, patients who undergo total joint replacement are at risk for certain complications, the vast majority of which can be successfully avoided or treated. In fact, the complication rate following joint replacement surgery is very low. Serious complications, such as joint infection, occur in less than 2% of patients.10 Other possible complications include blood clots and lung congestion, or pneumonia. Talk to your doctor for a complete assessment of the potential risks. 3.AAOS website, http://orthoinfo.aaos. org/topic.cfm?topic=A00385, accessed April 2011. 4. Ostermeier, S; Stukenborg-Colsman, C, Hannover Medical School (MHH) Hannover, Germany 'Quadriceps force after TKA — a comparison between single and multiple radius designs," Poster No. 2060 • 56th Annual Meeting of the Orthopaedic Research Society. 5. Harwin, S.F., Hitt, K, Greene, K.A. Early Experience with a New Total Knee Implant: Maximizing Range of Motion and Function with Gender-Specific Sizing Orthopedic Surgery, Surgical Technology International, XVI. pgs 1-7. 6. Greene, K.A. 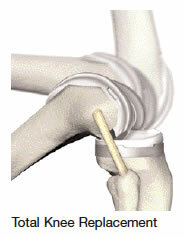 Range of Motion: Early Results from the Triathlon® Knee System, Stryker Literature Ref #LSA56., 2005. 7.Wang, H., Simpson, K.J., Ferrary M.S., Chamnongkich, S., Kinsey, T, Mahoney, O.M., Biomechanical Differences Exhibited During Sit- To-Stand Between Total Knee Arthroplasty Designs of Varying Radii, JOA, Vol. 21, No. 8, 2006. 8. Stryker Orthopaedics Test Report: 06-013. 9. The effect of total knee arthroplasty design on extensor mechanism function, JOA, Vol. 17, Issue 4, June 2002, pp. 416-421. 10. Hanssen, A.D., et al., 'Evaluation and Treatment of Infection at the Site of a Total Hip or Knee Arthroplasty," JBJS, Vol.80-A, No. 6, June 1998, pp. 910-922.